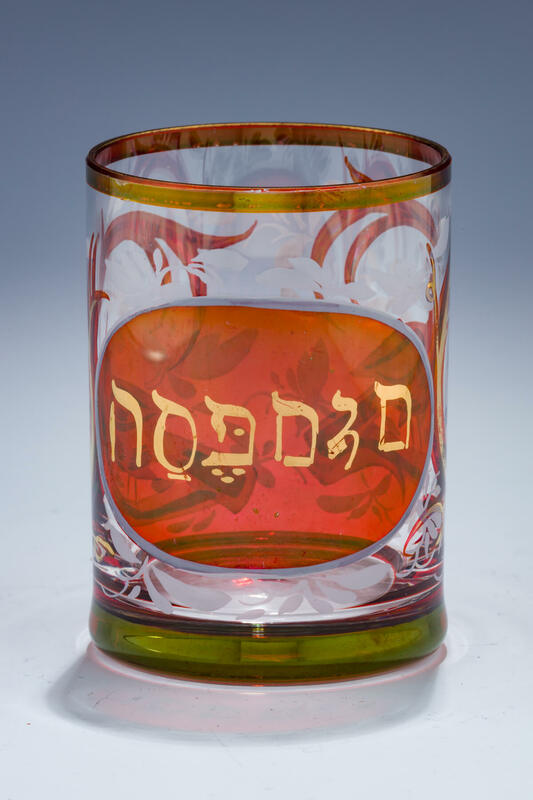 A GLASS PASSOVER CUP. Probably United States, c. 1900. Ruby colored glass with white paint on gold leaf design. Passover use indicated in central cartouche.